On a global level drone regulations are in a state of flux. Certain countries require you to register your drone — the US and the UK more recently. Vietnam allows you to fly in certain areas with permission, but I’ve also heard reports of people getting their drone confiscated at the airport. Other countries like the UAE allow you to fly any drone, as long as it doesn’t have a camera! There is no website online that has accurate and up to date information on a global level, even a site like Droneregs.info is missing key pieces of information. Information is scattered. This means that as a drone pilots it’s your responsibility to check local regulations individually and when traveling from country to country. Fortunately Japan’s drone guidelines and regulations are relatively straight forward, but there are also some grey areas, and safety procedures. I’ve lined out the regulations in a previous article here. These are the two most up-to-date maps in Japan — usually. They are both free to use and you can search by specific location. 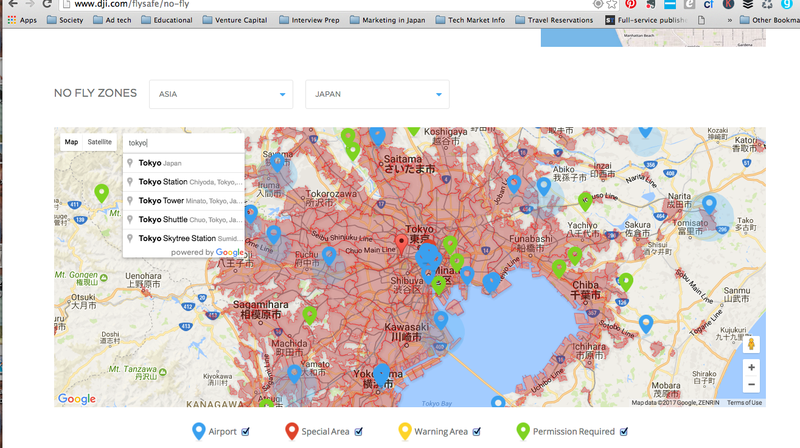 You should always check these maps before planning to fly anywhere in Japan. If the zone is red, that means you cannot fly. Unless you obtain special permission from the government. If you are looking to fly near Tokyo, two of the closest places are near Haijima station and the Inagidaichi Park near Minami Tama station. The maps are not always 100% accurate because local cities and areas have their own rules. For example, at a first glance Mt. Takao seems safe to fly but upon further research we can quickly find out that it’s a no-fly zone. Just because other people videos have posted flights in a certain area does not necessarily mean that it’s legal. In google type in the name of your location in Japanese followed by “ドローン禁止,” which means drones not permitted. Now Google translate the results. Check the results to see if the city or local attraction has posted any regulations about flying zones. When you have checked the map and done a google search, determining that an area is safe to fly, I would recommend taking a quick screenshot to keep on your phone. 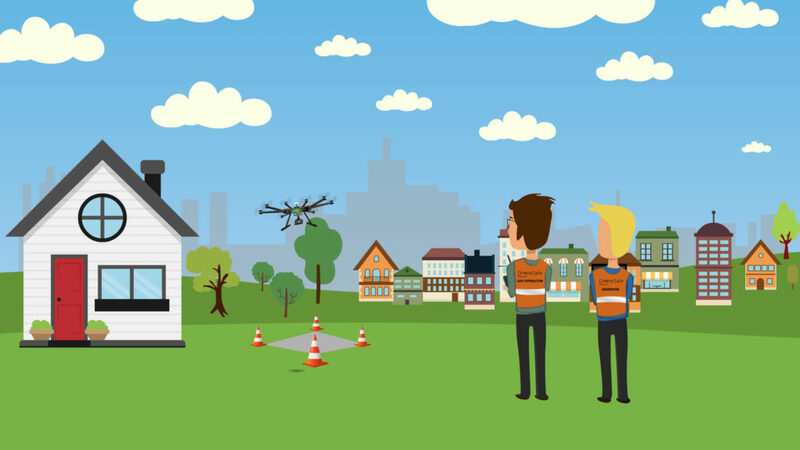 Many authorities are still unfamiliar with the local drone regulations, so in the unlikely event that you get stopped or questioned by the police, you can have a screenshot of your map and have it ready to shows them you are technically flying in a safe zone. While all of this sounds a bit complicated, in the coming months I see the process getting easier and safer for pilots in Japan. For example, there are services like Airmap who are entering the market (partnered with Rakuten) that will provide a flight control system for pilots. DJI drones have serial numbers that are tied to certain countries. This serial number is located inside the battery compartment. 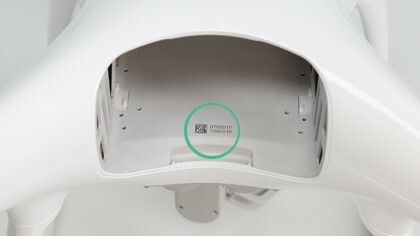 If you purchased your drone in Japan, for example, then the serial number is unique to Japan. Technically speaking, flying a drone without a Japan serial number is illegal to fly in Japan. I have personally never seen anyone run into an issue with this and DJI doesn’t setup any sort of restrictions through their app that limit your flight in any way. That said, if you want to be 100% on the safe side it’s best to fly a drone with a local serial number. There are official drones licenses that you can get in Japan that will allow you to fly in zones that would normally be restricted. The license requires you to go through several hours flight training as well as a written test and costs anywhere from 50,000 to 300,000 yen. Check out this article for more details. Currently all drone license exams are in Japanese, but there is work being done on translating the exams into English. 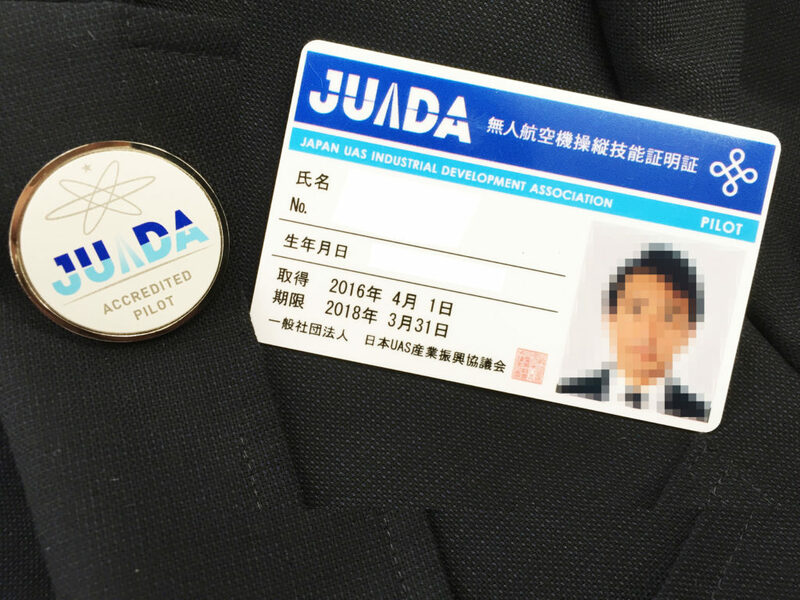 We’ll be partnering with the Japan Drone Associate (JDA) to gather drone pilots in Tokyo who are interested in taking the test. If you’re interested to learn more about this sooner drop us a message at hello@seranova.jp. Make sure to follow us on Instagram @seranovadrone or check out our other blog posts for more drone content.